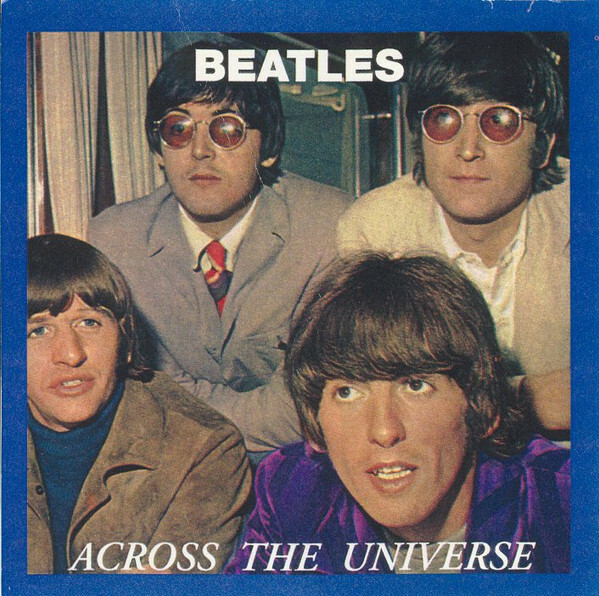 The Beatles Song of the Day is Across The Universe. Across the Universe is on The Beatles Let It Be album and was written by John Lennon. Lennon said that he wrote the song out of irritation. It was 1967 he was lying in bed with his first wife Cynthia and she had been going on and on about something-and had finally gone to sleep. He kept hearing her words over and over- like an endless stream. He went downstairs and started writing a song- but made something positive out of it. He would later say it was one of his favorite songs not the recording of it but the lyrics. John viewed this song as one that just flowed out of him- it wasn’t craftsmanship the song wrote itself he said. Originally it was given to a charity album for the World Wildlife Fund. That recording was speeded up and wildlife effects were added during the mixing. The version on Let It Be- producer Phil Spector removed some sounds from the original and slowed it down and then overdubbed an orchestra and choir. The first version was going to be an A-side single but was replaced by Lady Madonna. The song was performed in the Let It Be film. David Bowie recorded it on his Young American’s album. As far as The Beatles version- John wasn’t happy with the recording and would blame Paul for subconsciously trying to destroy a great song. Clearly John’s opinion of the song does not match that of most listeners. The song was written after The Beatles had met the Maharishi Mahesh Yogi in England but before they went with him to India. The song mentions Gura Dev who was the Maharishi’s guru. No One’s Going To Change Our World version- John Lennon: lead vocal, acoustic guitar, electric Leslie-speaker guitar: Paul McCartney: bass, backing vocal,: George Harrison: tambura and backing vocal: Ringo Starr: maracas: Lizzie Bravo and Gayleen Pease: backing vocal: Produced by George Martin. The Let It Be version: John Lennon: lead vocal, acoustic guitar, electric guitar: Paul McCartney: bass: George Harrison: tambura: Ringo Starr: maracas: Phil Spector: strings and choir: Produced by Phil Spector. Rating “Across The Universe” ***** stars out of 5 stars- a classic. Across The Universe was never released as a single. Recorded on February 4, 1968. Length of song: 3:50 for the first version on the World Wildlife Fund “No One’s Going To Change Our World” album, 3:47 for the Let It Be version. Spignesi and Lewis in their book rank it #40, critic Bill Wyman #93 out of 213. Rolling Stone has it #84, Jim Beviglia #53 and The Beatles Channel Listeners Poll- #16.